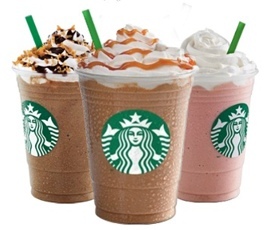 Starbucks is having a 50% off Frappuccino Happy Hour sale starting May 4th – May 13th between 3pm-5pm. There’s no coupon required and you’ll save 50% on Frappuccino Blended Beverage. I suggest calling ahead to make sure your local store is participating.